Born: 31 [or 7] March 1947, Sydney, NSW, Australia. Education: Marcellin College Randwick, Randwick, NSW, Australia. Ph a tv-doc for Seven Network on the filming of 'Don Quixote' . Ph doc's and numerous commercials. Was inducted into the ACS 'Hall of Fame' in 1999 and became a life member of the society in 2008. Also active as still ph with a number of exhibitions. His photo book 'Lifesaver/Down Under - To Glorify the Australian Lifesaver' was published in 1983. 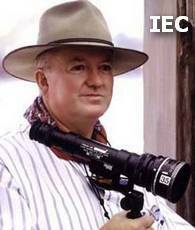 Awards: ACS 'Milli' Award 'Australian Cinematographer of the Year'  for 'Willi Willi'; ACS 'Milli' Award 'Australian Cinematographer of the Year'  for 'Caddie'; AFI [Aus] Award  for 'Rebel'; AFI [Aus] Award  for 'The Right Hand Man'; 'Genie' Award , AFI [Aus] Award  and ACS 'Milli' Award 'Australian Cinematographer of the Year'  for 'Black Robe'; ACS 'Milli' Award 'Australian Cinematographer of the Year'  for 'Alive'; ACS 'Award of Distinction'  for 'Diabolique'; ACS 'Golden Tripod' Award  for 'Paradise Road'; 'Emmy' Award nom  for 'And Starring Pancho Villa as Himself'.